Show that you care by sending flowers. We have many arrangements to choose from and offer Same Day Delivery. iMortuary strives to help consumers find funeral homes and cremation providers in their area. Search thousands of funeral homes with the click of a button or browse by city and state to find the provider that best suits your needs. We are a 100% free resource dedicated to helping consumers get in contact with funeral homes and cemeteries, in a convenient manner. What is an End-of-Life Doula, and Do I Need One? Making funeral arrangements can be a difficult process, and even more troubling if grieving for a loved one. We have been helping family partner with funeral homes in their area for over a decade. Let us help you! Funeral Pre-planning Information - Our detailed guide to pre-arranging a funeral or cremation. 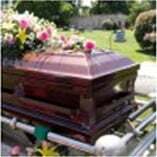 Green Funerals - Information about environmentally friendly burial options. Funeral & Cremation Glossary - Learn the terminology that you may encounter when arranging a funeral or cremation. We've launched funeral planning in Spokane, Burien, and Auburn.